Delivered on time and I tried it out last week end. I am a size 44 and I ordered a 44 and it fitted perfect. The jacket is comfortable and was perfect with just a tee shirt on in the barmy 15 deg plus February temperatures. Fit perfectly, shame its the end of stock sale. Never been let down by RST and yet again another fantastic product. Sizing is pretty much exact. What a surprise. Good looking and comfortable. Judging from the supple leather to the double stitching, quality back protector, sturdy outer shoulder protection, it could happily save your own hide if the worse happens. Elsewhere on the net these are £230+. SBS well done. Great Jacket and Customer Service ordered a 50 as my textile jacket was the same size but the leather was to loose fitting. Contacted customer services and they had me the next size down ready and shipped to me within hours of them getting it! Great job guys! Great jacket. Excellent delivery time. Jacket fits well with good protection. Adjustable at the waste to make sure you get the right fit. Comfortable and warm enough for winter with the inner liner in place. Great service from shop and unbelievably fast shipping to Ireland via. DPD. I couldn't be happier. Appears very well made and covers the lower back nicely when in the riding position. Sizing could be said to be spot on for the chest size but i found in rather baggy around the gut area, so i went for the next size down and it is the perfect fit without being restrictive. 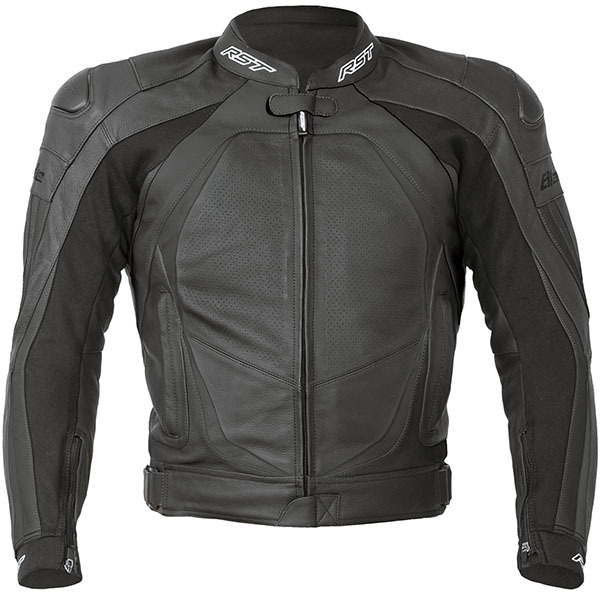 These leathers are accurate UK fitting sizes, so if your a 46 and get a 46 it will be a tight race fitting leather, and if you want a comfort fit and your a 46, then get a 48 so you can put a jumper on under in winter, they call it a comfort fit by going one size up from a accurate chest measurement, just measure with a tape. 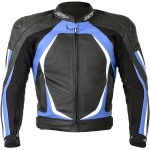 You cannot go wrong with the quality, and also the great spec armour that is fitted, these leathers should last years of comfortable use and no worrying if you should have a tumble, about the safety that these products provide. 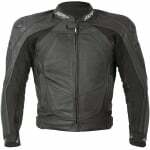 the leather does give a little bit over a few rides out, and the stretch panels are great too, you have quality zips through out and enough pockets to satisfy most people, you cannot go wrong. Sportsbikeshop are a first rate shop to deal with, fast shipping and the only place that I will be ordering from in the future, I have 25 years of riding under my belt, from dispatching and also as a motorcycle instructor. Excellent Jacket and Awesome service as usual from Sportsbikeshop . 5 stars. Really good quality, slightly larger fit than expected but room to move which is good.